N33, the "technical" demi-jet by Nolan, has evolved to become the N33 EVO. Characteristic element of this evolution is the inner comfort padding, upgraded both technically and aesthetically. The fitting is further improved thanks to the new configuration of the neck roll (more enveloping on the neck area) and the incorporation of the chin straps in the padding, therefore removable and washable. The aesthetic configuration has also been upgraded, now in line with that of the most recent Nolan models. The aesthetic finishes in carbon fibre are combined with the already appreciated red inserts. The ventilation system has also been further improved. The carbon fibre finishes, recalled also by the side cover plates, characterise the extraction system. 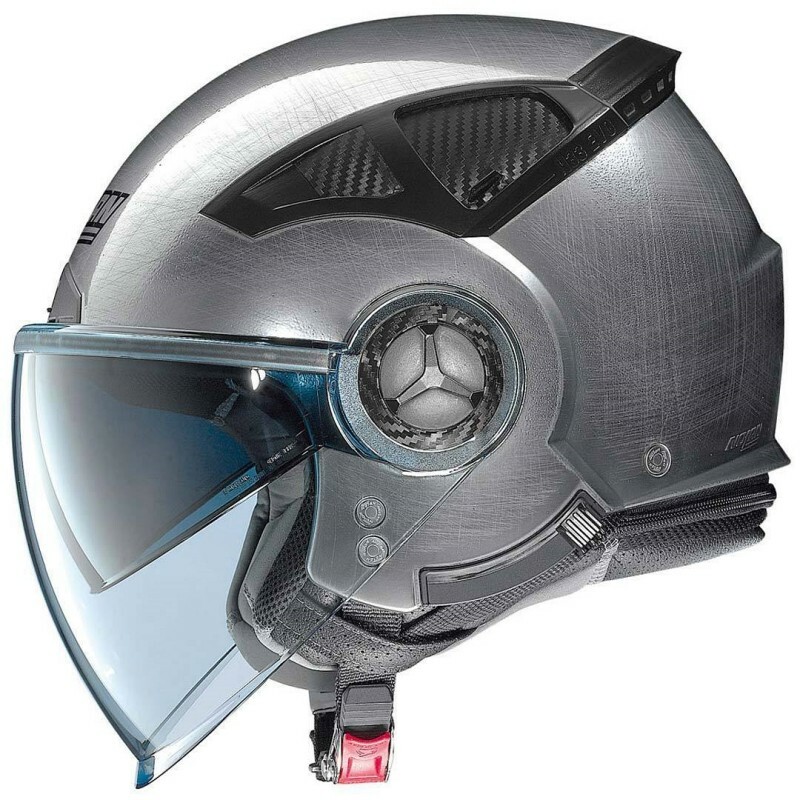 This model is finally equipped with a wide light blue visor, the VPS sunscreen with UV 400 protection, the Microlock retention system and a ring to secure the helmet to the motorbike (Helmet Lock Ring).